See your door design before we build it using our online Design Center tool. Window shapes, panel designs, colors, and materials can all be previewed in the Design Center, so you can try out different combinations and find the one you like best. See if you’re happy with the look of low-maintenance steel, or if you really do want a wood door in rich, warm tones. Don’t neglect to choose the right decorative hardware to tie your garage door design together and make it match the overall architectural style of your home. 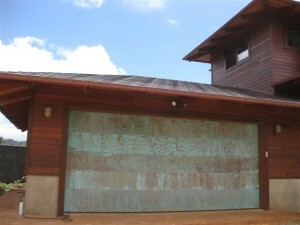 Getting expert installation for your custom garage doors Thousand Oaks CA is imperative. If your installer makes a mistake, it could potentially shorten your garage door’s life. For instance, failing to set the garage door spring tension correctly can cause the garage door to fall and become damaged. These kinds of problems aren’t likely to happen when you rely on the experts at Carroll Garage Doors to install your new garage doors. Our skilled technicians are experienced in all kinds of garage door opener systems and they can set up your new door right the first time.